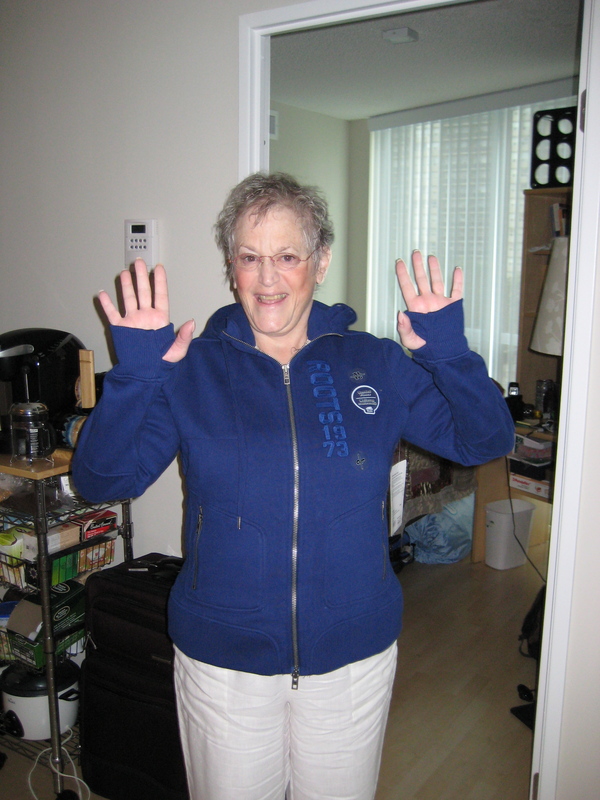 MY MOM in August 2008 appreciating the thumb holes in her new sweatshirt. On the 5th of Kislev I will light a yartzeit candle in your memory but today can’t go by without remembering, too. I love you and will miss you forever Mom. This entry was posted in family, memories and tagged family, MY MOM. Bookmark the permalink.